Plot - A true love story where two people who know difference in their attitude toward relationship and marriage fall in love with each other. A romantic true love story of young one: Chen Zi Hao successful, tall and handsome man, who is conservative and down to earth, he always keeps himself away from love, until he meets Ye Ting, a passionate girl who just come back to China. They fall in love with each other even through they know about their different attitudes toward marriage and relationship. 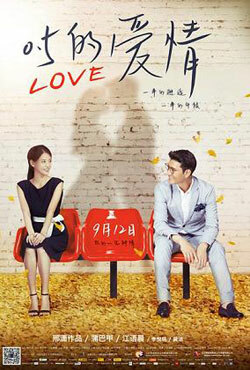 In campus Lu Yi Ping and Tong Xin Yu met and fall in love with each other. Tong came to Lu’s city to support her boyfriend’s dream of being a filmmaker. However, their years of love relationship seems to be split under the pressure of the reality. Box Office Earning of "Zero Point Five Love"